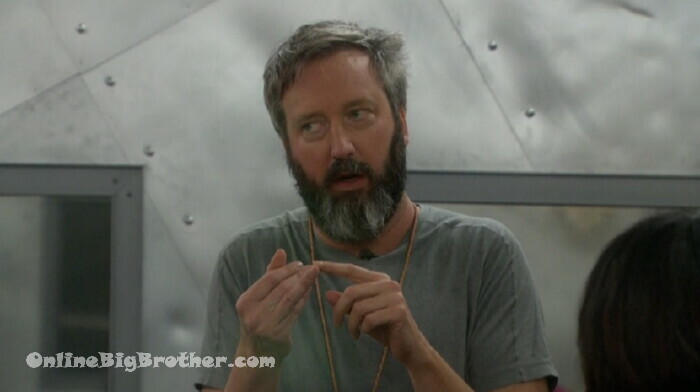 Ricky – I don’t know what he is thinking.. because he is going to have to do the same thing we did because he can’t compete (in the HOH competition). And he is going to have to win the veto. Lolo – true. And he got his chance to make amends. And that’s what he really wanted … so maybe that’s what his prayer was. Even though our prayer was victory .. his prayer was to make amends with all of us to make sure he was friends with all of us afterwards.